Rear end auto accidents are extremely common, involving tens of thousands of people each year. While most rear end auto accidents are relatively minor, others result in serious injury or even death. In instances of catastrophic rear end auto accidents, victims and their families can suddenly find themselves faced with unexpected and overwhelming physical, emotional, and financial hardships. If you have been injured in a rear end auto accident, the personal injury attorneys of Gary A. Zucker & Associates, P.C., can fight for your right to financial compensation so that you can focus on putting the pieces of your life back together. Many people believe that cases arising from rear end collisions are fairly simple and straightforward, but in reality they can be among the most complex and challenging. Our attorneys have the resources and skills to reconstruct the accident, compile compelling evidence, and take on even the most powerful auto insurance companies on behalf of our injured clients. When you entrust your litigation to our Brooklyn rear end auto accident attorneys, you can rest assured that we will present the strongest case possible to ensure that you are able to collect every cent to which you are entitled. To arrange for an evaluation of your rear end auto accident case, please contact the personal injury law firm of Gary A. Zucker & Associates, P.C. today. Drivers are obligated to make sure that there is a safe braking distance between their automobiles and the car, truck, motorcycle, or other vehicle in front of them. Remember that golden rule you were taught in driver’s training, that drivers should be able to count slowly to three (as in “one-Mississippi, two-Mississippi…”) from the time that the front car passes a landmark alongside the road to the time that they pass the same landmark? It’s absolutely applicable to any driving scenario. If you were injured due to being struck by a vehicle from behind, chances are that the vehicle was following your automobile too closely. Other common reasons for rear end accidents include reckless driving, speeding, driving under the influence of drugs or alcohol, and being distracted by cell phone use or other technology. It is incumbent upon our auto accident attorneys to present sufficient evidence that the rear end collision was caused by the negligence of the other driver, calling upon our expert investigation skills, forensic experts, and other resources as necessary. There are instances, although rare, in which the lead car is at fault for a rear end accident. If you were injured in an accident caused by the negligent behavior of the driver in front of you, we can evaluate your case to determine whether you have a viable claim. 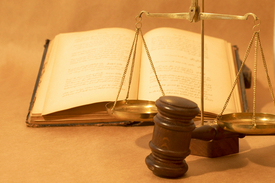 Whatever the cause of your rear end auto accident, our lawyers will fight for your right to damages. You may be entitled to compensation for medical bills, rehabilitation expenses, lost wages, pain and suffering, and other losses and expenses stemming from your injuries. To learn more about rear end auto accident litigation, please call or email the law firm of Gary A. Zucker & Associates, P.C. today.